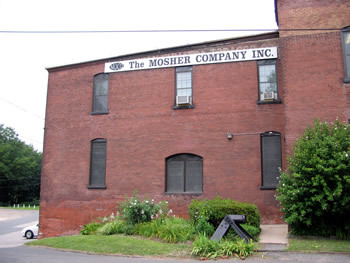 The Mosher Company Inc. has been manufacturing Finishing Compounds for over 75 years at our facility in Chicopee, Massachusetts. We began with the manufacture of Buffing & Polishing Compounds for the local metal working and plating industries. This quickly led to the addition of resale finishing products such as cloth buffing wheels, abrasives, and related finishing equipment. Years later, Lapping Pastes, Slurries, and Liquid Buffing Compounds were added to the manufactured product lines as natural extensions to the initial products manufactured. These products were introduced to satisfy requests from our customers who were required to produce finer and finer finishes. Our products known as "MOCO Compounds" are made to exacting standards; to specific formulas and containing only virgin materials, abrasives and chemicals to ensure optimum and consistent finishing properties. 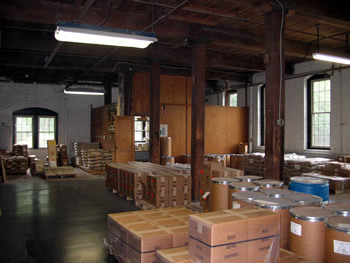 They are designed to be clean working and will offer consistent performance from batch to batch. Today, these products are recognized as the best for finishing: Metals, Plastics, Wood and Glass. "MOCO Compounds" are used in diverse applications in the: Metal Fabricating, Electronics, Fiber Optics, Semi-Conductor, Wood Working, Cutlery, Automotive, Jewelry, Aerospace and Firearms industries. Throughout our website you will find unique products Mosher Company engineered for a specific customer to improve their operations and maximize productivity. Our commitment to continuous improvement and customer satisfaction has made us a leading manufacturer of finishing products. Whether you're a corporation or hobbyist our commitment to you will always be the same.